Welcome to my in 2018 completely redesigned and newly built homepage! Bicycle travelling around the world! 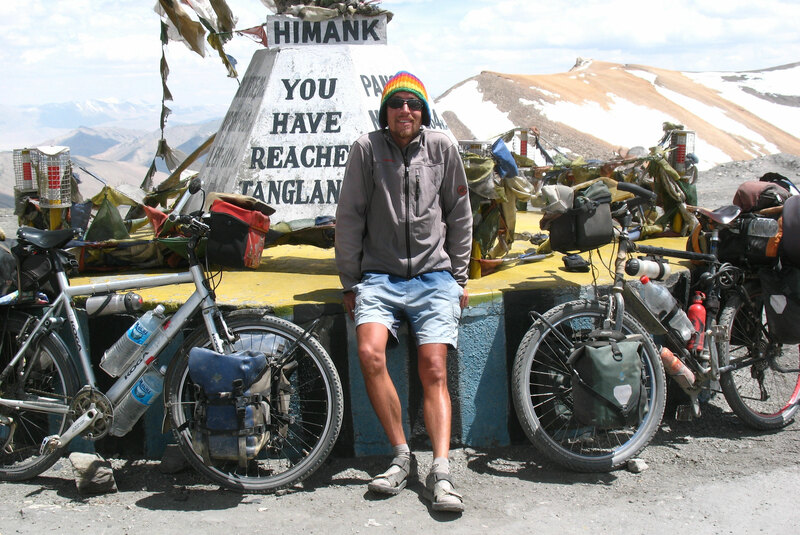 There´s informations about all of my cycling trips, like the two and a half years bicycle round the world trip with 45,500 km around the globe. Thanks for your feedback and your comments! Hope you enjoy! Mid 2005 till end of 2007 around Southeast Asia and China, Australia, South Pacific, in South America all the way south to Cape Horn, across India and Nepal and through the Indian Himalaya, to Africa and the long way south to Cape Town. I am co-author of the German World Cycling Guide! 780 pages for bicycle travelling nomads! Order here for 25 Euro only! Free shipping within Germany! Latest edition! The major guide for all those who plan to cycle America, Africa, Asia or Australia. It provides descriptions of touring options in more than 100 countries with incredible loads of road and travel informations. 780 pages (in German!) for bicycle travelling nomads! Links to homepages of other bicycle travellers I met or of those I heard of.